A full pout has been regarded more attractive by most women with Angelina Jolie’s lips being one of the yardsticks of a sensual face. Nowadays, we see photos of celebrities with lustrous full lips of every shade and color, but reality is, most of them have average to thin lips. Though balance of facial features is still the main ingredient of a beautiful face, full lips can always draw attention especially when coupled with just the right shade of lipstick. Make up tricks are available to make your lips plumper, but that just takes so much of our hectic schedule, plus, chances are, it’s gone by the next morning. So, with the availability of a non-surgical approach for plumping up our delicate pouts, more and more women, especially celebrities, are taking it to the next level. SHOULD YOU DO LIP AUGMENTATION in Thailand? Lip Augmentation in Thailand can be done by anyone who wants to have fuller upper or lower lip, or both. Some patients who opt to go for the treatment just want a better more defined contour yet some really want a poutier look. However, whether you want to achieve Megan Fox’s pout, or you just want to have a shapelier lips that will stay sans makeup, you can do lip augmentation with fillers in Thailand. Though it may seem like a simple procedure, the technique involved with lip augmentation is acquired through experience and attention to detail and those are just the qualities that our surgeon, Prof. Kunachak, possess. Another factor that you have to consider with having you lip augmentation in Thailand is the quality or genuinity of the filler that will be injected. In our center, we use Juvederm, Restylane, Perlane, and Aquamid Fillers and all are from recognized fillers distributors in Thailand. Patients should be wary about fillers being offered in such a low price since the filler injection alone actually cost a lot in itself already and the sad reality is, fake fillers do exist, and they are offered in such low prices that those offering the real product cannot compete. Understand however that injecting unkonwn substances in our body is very dangerous, and with fake filler products, the chance of having to spend a lot more is just highly probable since no one knows what those fake fillers are actually made of. 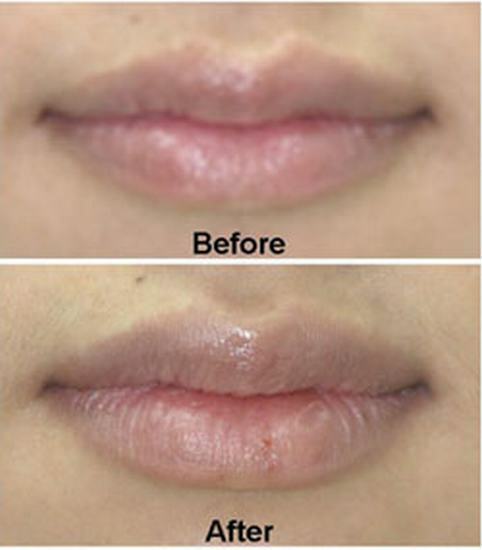 HOW IS LIPS AUGMENTATION in Thailand DONE? Lip Augmentation as Yoskarn Clinic is done by Prof. Somyos Kunachak using dermal fillers. Dermal Fillers are hyaluronic acid based fillers which are not permanent but since have lesser chances of allergic reaction. The first step in having lip augmentation at Yoskarn Clinic is Thailand is your consultation with our doctor. During the consultation, our doctor will present you with the kinds of fillers that we offer and the pros and cons of using each so you can decide which fillers you want to use. After the deciding on the fillers, you and our doctor will then discuss the shape of the lips that you want to achieve while our surgeon advises you on facial proportions. t will be better if you will have photos during your consultation and during your injection for comparison. Usually, the injection can be done after your consultation, depending on you and our surgeon’s availability. After injecting the fillers into your lips, you may be given ice to ease discomfort and to minimize swelling. Normally, bruises may appear on the area of injection but they fade in about 2-3 days along with the swelling. For absorbable fillers, the result often stays for 4-6 months only though reduction will be gradual. WHAT IS THE EFFECT OF THE FILLER INJECTION FOR LI[ AUGMENTATION in Thailand? Hyaluronic Acid Fillers are usually recommended for lip augmentation in our center in Thailand because they feel more natural after injection. Since the injection is done with measure, the amount is controlled and the surgeon can stop once the result you desire is already achieved based from what you have discussed with him during your consulattion. In return, the injection can also be given on sessions, like for instance, you can receive 1cc of fillers during your first visit because you felt like it was enough, but after the swelling has gone down, you want additional volume, there is no problem. We can inject the filler little by little until we reach the result that you want however, fillers are always sold per cc hence every session, you will have to pay for a whole cc of filler whether you use it up or not. The result of filler injection for lip augmentation in Thailand is immediate, though bruising and swelling may be present for the first 2 days. Genuine Hyaluronic Acid Injections will fill soft and smooth on your lips, even months after your injection. The plump look however lasts on an average of 6 months only. If you want a more permanent result, you can do the injection every 5 months. Yoskarn Clinic is an authorized distributor of Hyaluronic Acid Based Fillers such as Restylane and Juvederm. For patients who have had former injections of these fillers, it may be best to mention this during your consultation so our surgeon will know what to recommend for you. Other patients respond well with either one of our available fillers. Restylane and Juvederm fillers are the most trusted names in dermal fillers and though it may be a little more pricey than other available fillers in the market, these products are highly researched so you can be assured of their quality. Should the patient want permanent result however, we can also provide permanent filler or lip implant surgery. Aside from the quality of our products, we also take pride in the quality of our services by affiliating our clinic to one of the best budget boutique hotels in Bangkok. Aphrodite Inn, which is situated right beside our center, is accessible to shopping malls, tourist areas, and any kind of transportation in Bangkok. The hotel has been awarded a certificate of excellence by TripAdvisor for consecutive years and our patients who stay in the hotel enjoys their privileged privacy by having an option to use the connecting door from our center directly to the hotel. Friends and companions of patients can also stay in the same room as the patient free of charge with complimentary breakfast everyday. Room service and other hotel amenities are also available for all guests and patients alike.